A Mega Huge Afro Wig including a large black curled Afro Wig – Ideal for a 70s theme, a Disco theme, or any fancy dress occasion! Make sure you turn up to the party with the biggest Afro, wearing the brilliant Mega Huge Afro Wig. This amazing Mega Huge Afro Wig comes complete including a large black Afro Wig. This impressive oversized black afro wig with a tight curled design will be sure to have you boogieing the night away in no time. This Mega Huge Afro Wig is perfect for a 70s theme, a Disco theme, a TV & Film theme, or any fancy dress occasion. This Mega Huge Afro Wig will be sure to impress no matter what the occasion! 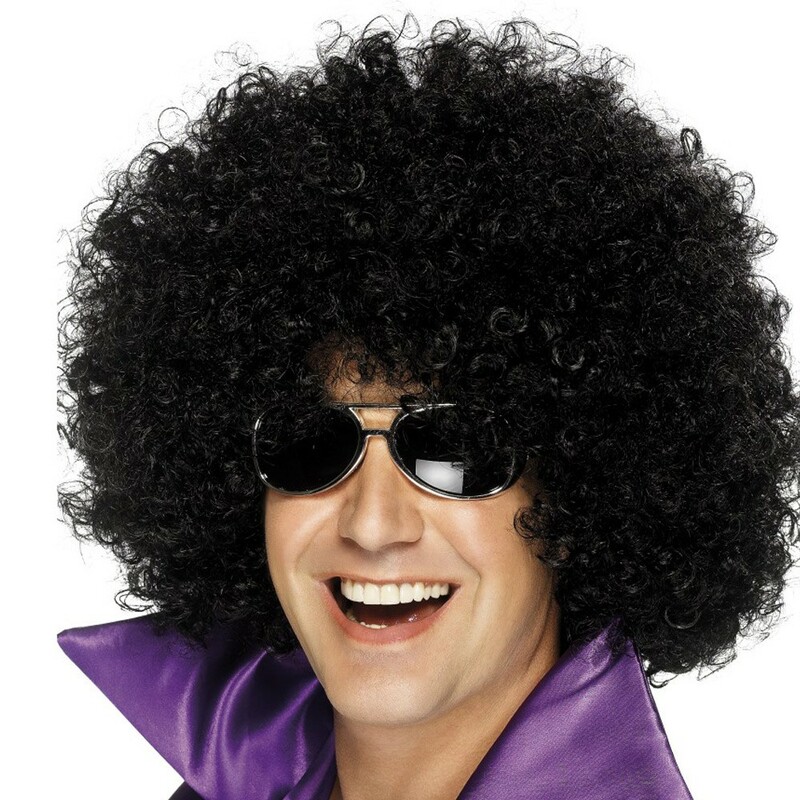 So get into the disco spirit with this fantastic Mega Huge Afro Wig. A Mega Huge Afro Wig.